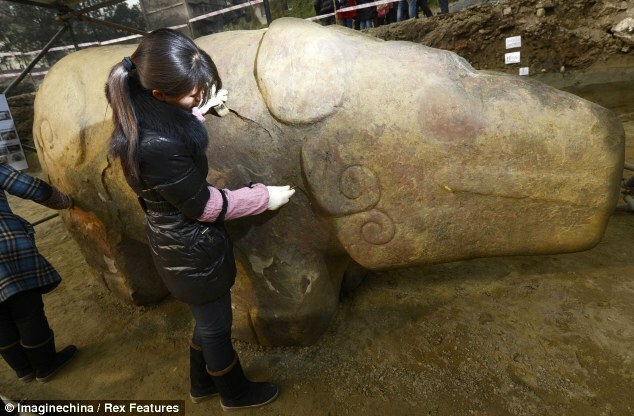 A giant stone animal has been found at an excavation site in Chengdu, southwestern China, baffling archaeologists as to what it may be. 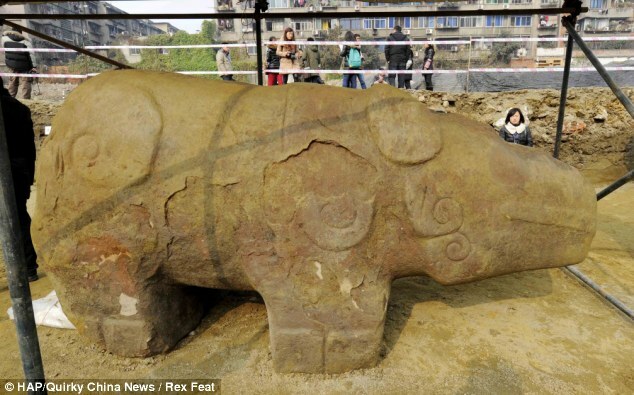 The mysterious rock beast was unearthed in the capital of Sichuan province today and is thought to be 2,000 years old. 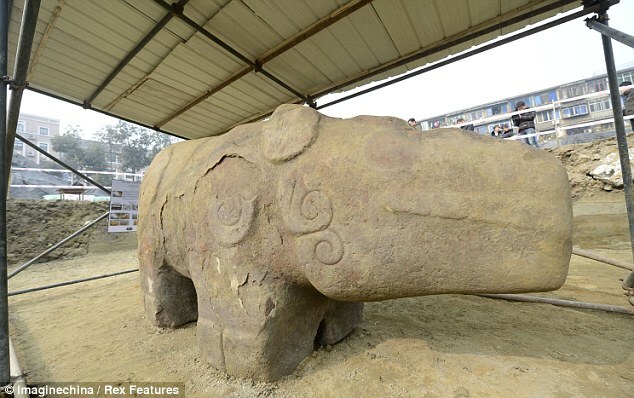 The stone animal weighed in at 8.5 tons and at 10ft 10in long, 3ft 11in wide and 5ft 7in tall. The animal has not been identified but it is possible that it depicts a giant panda as Sichuan is one of only three provinces in China which are included in the giant panda’s natural habitat. 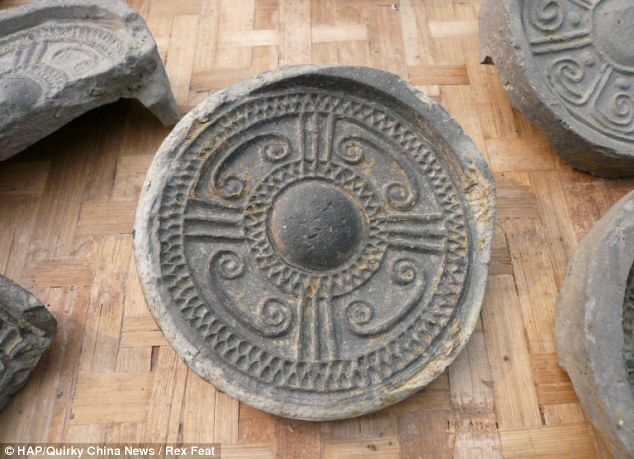 Archaeologists working on the site also unearthed a large number of other artifacts, leading to the conclusion that the beast may have been part of a temple in the early days of Chengdu. Chengdu has been the capital of the province since around the time the statue would have been created and is the only city in China to have remained in the same location under the same name for such a long time. 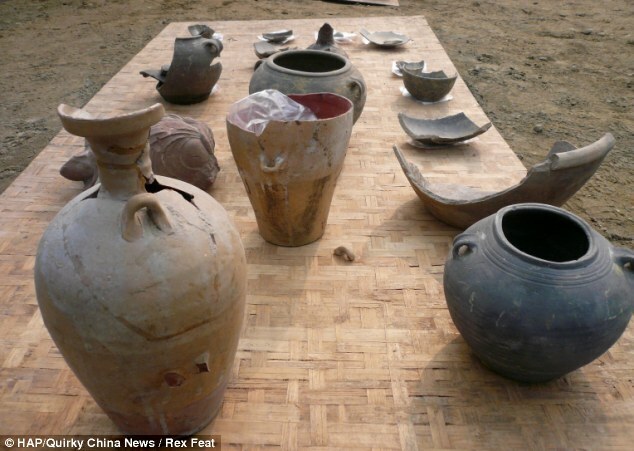 It has been at the core of the province for at least 4,000 years and has worked both as a religious and trade hub for the people in the area since.